Welcome to the Charming Vietnam - An Undiscovered Secret of South East Asia. You know about the wars in Vietnam. You know about Ho Chi Minh. Vietnam, once a forbidden country for tourists, now attracts hundreds of thousands of visitors every year. This exotic destination offers such wonders as magical islands set in pristine waters as well as historic and cultural sites like temples, pagodas and churches. 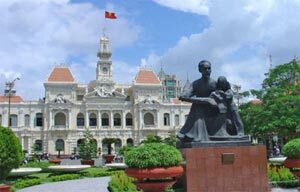 Traveling to Vietnam will be an unforgettable experience and will leave visitors deeply impressed. Looking for your Vietnam hotel, Select your hotel in Vietnam & Save! Viet Nam Ancient temples, green rice fields dotted with the conical hats of workers, and the blaring of horns and chaos of motorbike traffic. Graceful lakes, slow river life, and white sand beaches. A young country that looks forward to growth and change, not back to the wars of the past. Traditional dishes that will delight. Vietnam has much to be discovered. 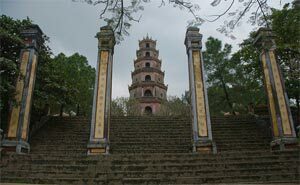 Silk Road Group can take you on a custom-made tour to destinations throughout Vietnam. From small group tours of historical Vietnam; to eco-adventures in Halong Bay; to cultural community-based tourism products in Ha Giang. We have been a Vietnam ambassador to thousands of travelers Worldwide, we pride ourselves as being your guide to experiencing the real Vietnam at your own pace and style. In the north, breathtaking scenery in the Sapa Higlands and spectacular seascapes in Halong Bay. In the centre, the World Heritage sites of Hoi An and Hue. In the south, the frenetic city of Ho Chi Minh (formerly Saigon) and the green fields of the Mekong Delta... Vietnam has so much to offer. Cruise along the Mekong river and bargain at local floating markets. Take a biking holiday through the Sapa Highlands and visit Vietnam's ethnic hilltribes, explore Vietnam's "rice bowl"the Mekong Delta, or chill out on a pristine beach and simply relax. Let us show you around Vietnam. Small groups, a choice of accommodation, full or half board transport and knowledgeable guides to give you an insight into this amazing country.